UPROSE Youth Justice: I am going to the SOUTH POLE! I am going to the SOUTH POLE! Hey, my name is Jonathan Ferrer. 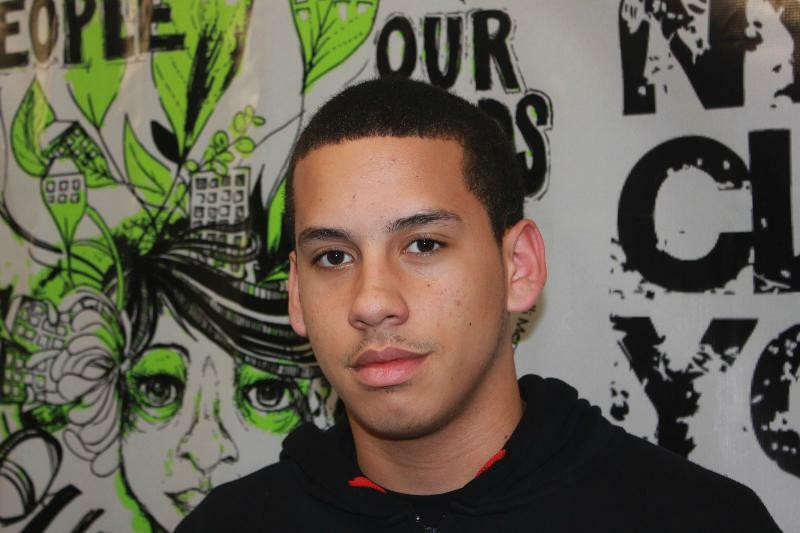 I am a Youth Justice organizer and core leader at UPROSE. My time at UPROSE I have been able to learn about the different environmental burdens that impact my community of Sunset Park, Brooklyn. I have also been given the chance to do something about it. Over the past two years I have conducted air and water testing, urban forestry, community mapping, and held educational workshops/forums. I've co-organized and facilitated stakeholder meetings in my community to prioritize environmental community concerns and issues. In May, I testified in front of the US EPA National Environmental Justice Advisory Council (NEJAC), where I spoke about the many environmental burdens in Sunset Park and the need to address climate change. This past summer, I helped organize the 2nd NYC Climate Justice Youth Summit, where over 300 NYC young people of color came out to learn how to address climate change in their communities. Being a part of UPROSE Youth Justice and being committed to address climate change in my neighborhood, I was nominated by Congresswoman Nydia Velazquez to join the Students On Ice expedition to the South Pole this winter. On this expedition I hope to gain more knowledge about climate change, that I can bring back to my community. Sunset Park is faced with many issues from air pollution to a potential storm surge that would cover half of our community. Antarctica represents to me the ability to leave my neighborhood to educate myself then come back and share what I have learned first hand. When I come back from Antarctica, I would like to use my experience to inspire people to step up and contribute to the multiple things being done to combat climate change. I leave for Miami, Fl. tomorrow morning, then head to Buenos Aires, Argentina, then down to Ushaia, Argentina where we get on our ship to head down to Antarctica (I will be traveling from Dec. 27, 2011 to Dec. 30, 2011 until I get on the ship)! I will be blogging through out my trip to the South Pole. STAY TUNED !